First public performance of new band on September 9. Used Instrument Drive also planned. First-ever public performance of THE INTOXICATS: A new collaboration including Michele Rundgren, Greg Hawkes, and other critically acclaimed performers. 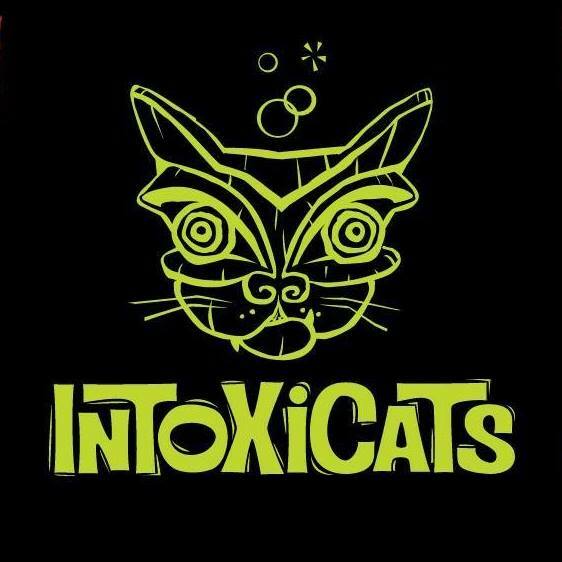 Originating from Kauai, Hawaii, Intoxicats were born of a rum haze one steamy summer night at Tiki Iniki. Picture Gilligan's Island with access to MTV, Get Smart, Hawaii 5-0 and I Dream Of Jeannie re-runs, coupled with an unlimited bar tab... You get the picture. Pre-show party begins at 4 p.m. Intoxicats on stage at 7 p.m.
Martyrs' is a legendary venue for up-and-coming, cutting edge talent, on the north side of Chicago. Cash bar and pub-style menu. Chicagoland Instrument Drive with Hungry For Music (www.hungryformusic.org) and D'Addario Foundation (www.daddariofoundation.org) outside Martyrs' 2-6:30 p.m. Bring your instrument donations to the Hungry For Music RV "Big Bertha" to be reconditioned and redistributed to children in need. We will accept musical instrument donations in any condition, preferably playable, but all donated instruments are welcome. Friday, September 7 - Todd Rundgren's Play Like A Champion Concert: Students Play the '80s, University of Notre Dame, South Bend, Indiana, September 7, 8-10 p.m. This "Big Weekend" also celebrates the FIFTH BIRTHDAY of the Spirit of Harmony Foundation!